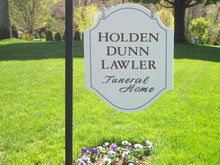 Your inquiry has been forwarded to Holden, Dunn & Lawler Funeral Home. 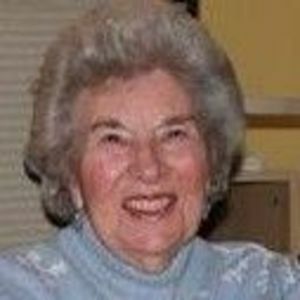 MacNeil, Phyllis M. (Wilde), of Westwood, died March 11th, 2019 surrounded by her loving family. Beloved wife of the late Norman E. MacNeil. Loving mother of Bruce MacNeil and his wife Linda of Lincoln, Helen MacNeil and her husband Patrick McFadden of Honolulu, HI and Laurel Mannix and her husband Richard of Falmouth. Cherished grandmother of Elizabeth Woodcock, Heather Cox, Stuart MacNeil, Patrick McFadden, Sean McFadden, Benjamin Mannix, Jessica Carty and Cameron Mannix. Sister of the late Douglas Wilde. Also survived by 7 great grandchildren and many loving nieces and nephews. There will be no visiting hours. Relatives and friends are invited to attend a Mass of Christian Burial on Saturday morning March 16th at 10am in St. Margaret Mary Church, 845 High St., WESTWOOD. Interment will be private. Please omit flowers, donations may be made in Phyllis' memory to Alzheimer's Association, 309 Waverley Oaks Road, Waltham, MA 02452. The beautiful and interactive Eternal Tribute tells Phyllis 's life story the way it deserves to be told in words, pictures and video. My sincere expression of sympathy. We are saddened by your loss. May you find comfort in knowing that God collects our tears and he is ready to comfort us in our moment of need - please read Psalm 56:8 to extend a small measure of peace and solace in the difficult days ahead.